Inside diameter (i.d.) 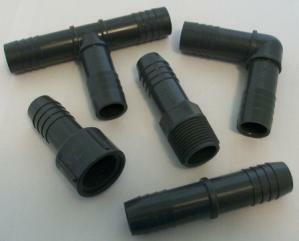 insert fittings are used in High Density Polyethylene (HDPE) waterlines in cold water or DWV applications. 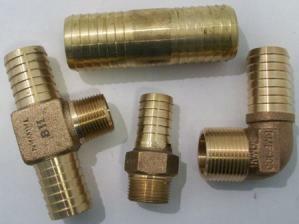 Threaded fittings are on other pages including brass, chrome, copper, cpvc, galvanized steel and garden hose. Outside diameter (o.d.) insert fittings are used with other materials such as rubber hose, poly tubing and vinyl tubing which are sized by outside diameter. 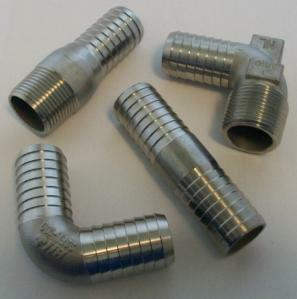 All regular stock insert fittings are on this page. Scroll to the bottom of the page for more information and installation tips. Always verify requirements with your water supplier. 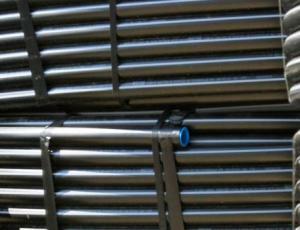 PVC fittings are gray color. 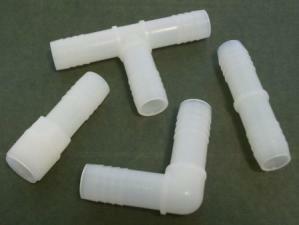 Nylon fittings are a somewhat translucent white color and generally more durable. PVC, nylon and brass are suitable for most potable, cold water supplies and pressures. PVC, nylon and stainless steel fittings are lead-free. Brass fittings are not lead-free unless so stated in the description for the specific item. Galvanized steel is also suitable, but will corrode in some environments. Each insert end has "barbs" or ridges which are angled to allow the barbed end to insert into the tubing but resist retraction. 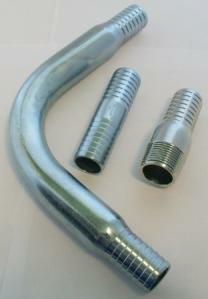 They also provide a surface against which hose clamps can compress the tubing to form a tight seal. 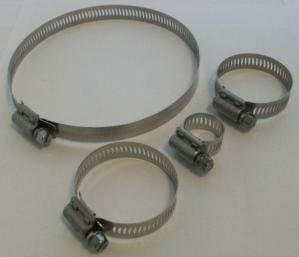 Hose clamps (usually one or two per insert) are used to secure the fitting inside the line or tubing. Tip: To facilitate inserting fittings, immerse the pipe in hot water to soften it slightly. Do not use any lubricant other than water. To remove insert fittings, use hot water or a heat gun to heat waterline gently until it is just hot enough (about 150-185°F) to allow it to stretch a little. Tip: Slide two pipe clamps facing in opposite directions over the waterline end before inserting the fitting. After inserting the fitting, position clamps side-by-side but 180° out of alignment. Tensioning screws will face in the same direction but on opposite sides of the pipe. Tighten clamps while pipe is still warm. Do not over-torque.